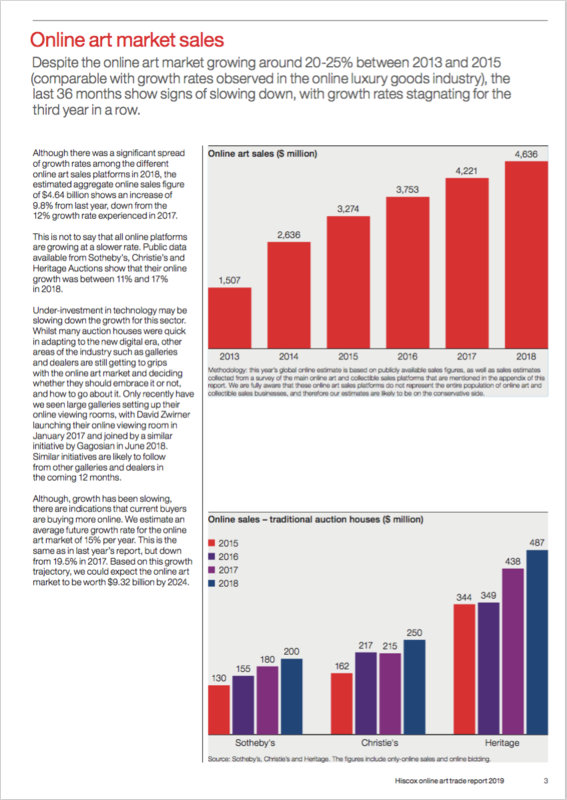 The 7th annual Hiscox Online Art Trade Report 2019 shows that online art market growth is steady but slowing, with more consolidation among online art platforms likely. Online art market sales increased 9.8% in aggregate in 2018 to reach an estimated $4.64 billion, but the annual growth rate has slowed for the third consecutive year. 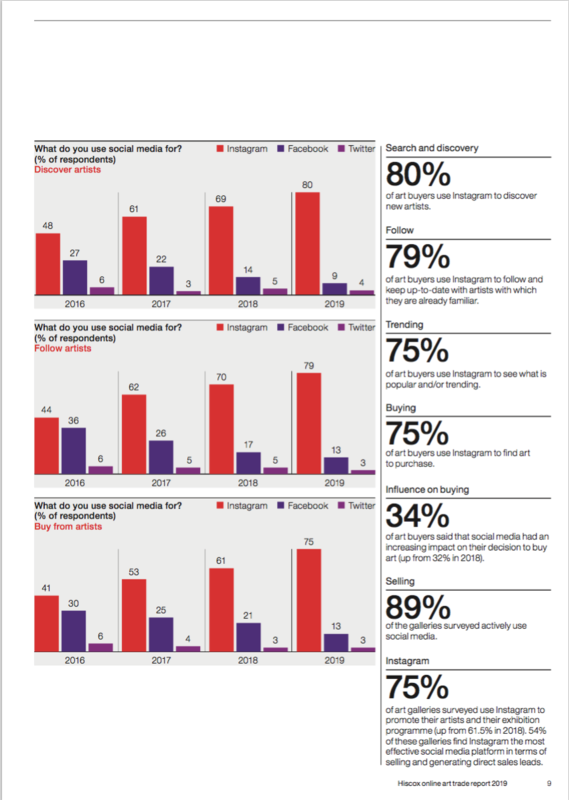 More millennials bought art online in the last 12 months, and 79% said they had bought more than once (up from 64% in 2018). You can download the report for free using the download button below. 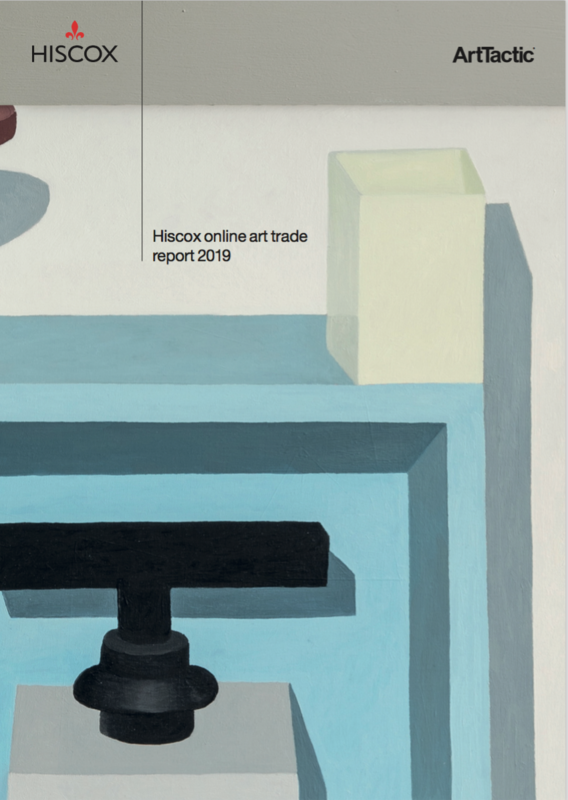 See also past editions of the Hiscox Online Art Trade Report below. Online art market sales increased 9.8% in aggregate in 2018 to reach an estimated $4.64 billion.